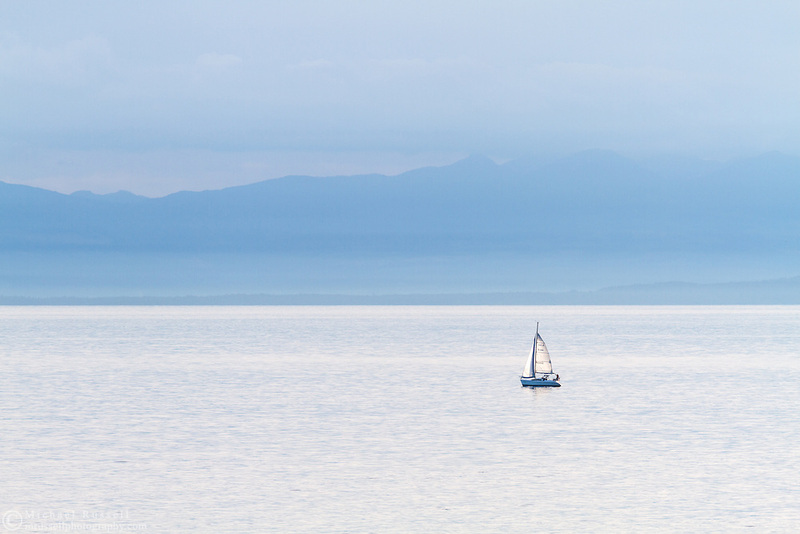 A small sailboat (a Hunter 280 Sailboat) in the Salish Sea (Georgia Straight) west of Vancouver. Photographed from Juniper Point at Lighthouse Park in West Vancouver, British Columbia, Canada. The mountains in the background are located on Vancouver Island.